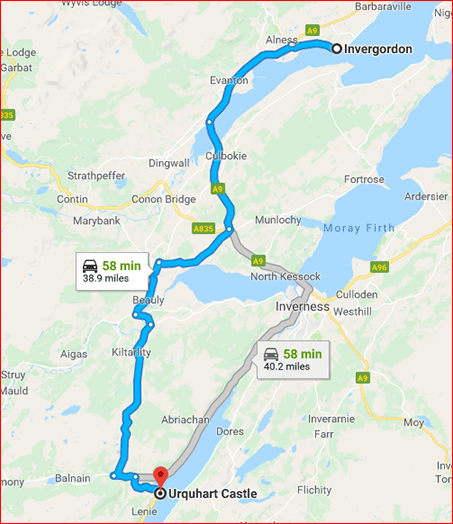 If your Cruise Scotland is docking in Invergordon you will be taken on a tour of the world-famous Loch Ness, visiting the iconic Urquhart Castle where most sightings of the monster Nessie have been reported, then heading off to Fort Augustus at the bottom of Loch Ness for lunch/refreshments. 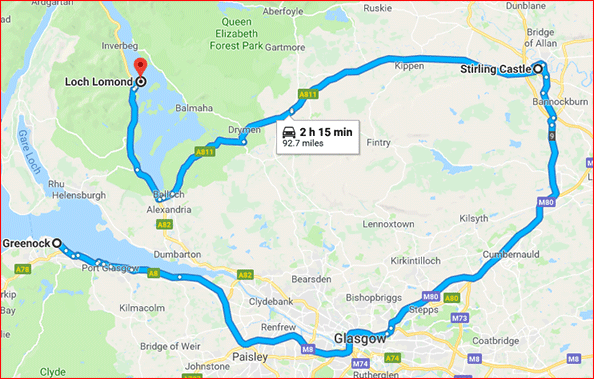 Afterward, your tour continues on the scenic route of Strath Nairn and on to Culloden Battlefield and visitor centre before heading back to Invergordon. Collection from your cruise ship at an arranged time, then taken on your tour of Edinburgh, firstly visiting the famous Edinburgh Castle which is the top visited tourist attraction in Scotland, spending 1 -2 hours soaking up all its rich history on a guided tour. 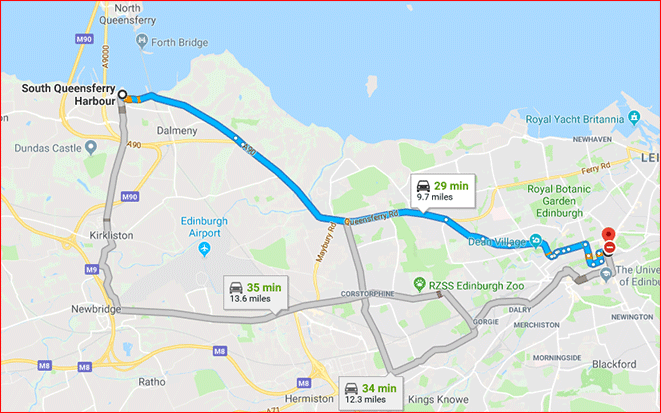 Afterward, your guide will take you on a tour of the city’s landmarks including The Royal Mile, Holyrood Palace, Queen Elizabeth II official residence in Scotland and then a drive up to Arthur’s Seat where you will enjoy a panoramic view of Edinburgh. Your tour will then move on to Rosslyn Chapel, made famous by Dan Brown’s ‘The Da Vinci Code’ and featured in the film, also visiting the ruins of Rosslyn Castle, of the Clan Sinclair or alternatively visiting Glenkinchie Whisky Distillery. This tour can be changed to accommodate other desired destinations. Is your Cruise Scotland docking in Greenock? You will from there, head for Scotland’s largest city, Glasgow and take in all that this vibrant city has to offer, including Glasgow Cathedral, Glasgow’s oldest house, and a drive through Glasgow City centre to see George Square and the Glasgow City Chambers. Then travel on to Stirling Castle where several Kings and Queens have been crowned, including Mary Queen of Scots in 1542, you will then head on to Loch Lomond, the largest inland stretch of water in the UK, experiencing the breathtaking mountain views of Ben Lomond which, at 3,196 feet high, is the most southerly of The Munros. On your return journey, sit back, relax and enjoy the scenery on your way to Dumbarton Castle where Mary Queen of Scots was kept as an infant for several months before removal to France for her safety. There will be the possibility of a visit to Auchentoshan Whisky distillery for 1 hour too. Admission prices not included in the price of a tour. Meeting Point: Passenger Gate, Patrick Street, Ocean Terminal, Greenock. ENQUIRE ABOUT A PACKAGE TODAY!